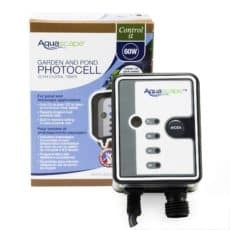 Make lighting your water feature or landscape quick and easy with the Aquascape Garden and Pond Transformer with Photocell. 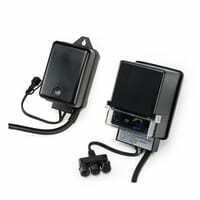 Aquascape low-voltage transformers provide an economical solution for operating halogen and LED lighting fixtures. The best time to showcase your water feature or any outdoor focal point is after the sun goes down. Don’t limit yourself to the lights you were given. Let your exterior lighting options expand beyond the ordinary with these convenient extenders. 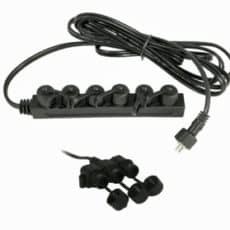 Light up the night with these waterproof connections and enlarge your outdoor space.